With a wealth of specialist double bass set-up, repair and restoration experience, the team at Thomas and George Martin Violin Makers delivers an exceptional standard of work. We have a dedicated, highly-skilled workshop team dealing with all things double bass. No job is too big or too small for us. Why not learn how we can help improve your double bass? We make no charge for advice, so please arrange to come and visit us. The bridge and soundpost are the channel via which the player communicates with the body of their instrument. Even the slightest adjustment can have a huge positive outcome. Several factors come into question when improving the playing experience. These include the bridge, soundpost, bottom nut, fingerboard profile, tail piece, tail wire, and the top nut. All of these can directly affect string tension, evenness, string heights and ease of playing. We work with demanding professional players to help them get the most out of their instrument. Wood is a constantly changing material. Being large, double basses are affected by seasonal change and can be susceptible to damage. We offer a full range of services to care for your instrument and help maintain its condition. Whether it’s a small crack or open seam, or major surgery after an accident, every job in our workshop receives the greatest of care and attention. We have a good relationship with all the major insurers and aim to offer excellent and sensitive service during what can be a distressing time. Thomas and George Martin Violin Makers’ workshop is one of very few that specialises in the most complex double bass restoration. Our restorers are entrusted with some of the most valuable double basses, and instruments are regularly shipped from all over the globe for us to work on. 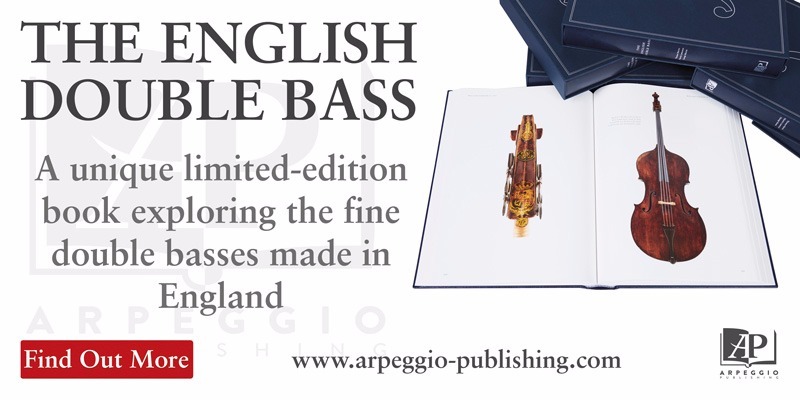 Fine double basses are works of art in themselves and their individuality and originality are paramount. We see our job as making the instrument as playable, enjoyable and functional as possible, while above all else preserving its integrity.